One of the downsides of blogging is the ephemeral nature of the craft. Most successful blogs accumulate hundreds of posts over the years, but the vast majority of the content will almost always sink into obscurity within days of publication. Of course, most blog posts are designed to be timely pieces of pithy writing–highlighting current events, expanding on the latest news headlines, responding to an ongoing controversy, and so on–so it’s no great loss when older posts are lost to time as they are pushed off the bottom of the front page. But sometimes there are reasons for creating more enduring content–articles that take a longer look at a particular subject, or seek to educate or enlighten the readership. In other words, content that should remain of interest to readers several years from now. Which is why, today, I have posted the first in an occasional series of “SETIBlog Features” with the slightly tongue-in-cheek title of “How I Learned To Stop Worrying And Love Our Future Alien Overlords”. This four part series explores the oft expressed fears of making contact with extraterrestrial intelligence and why, ultimately, there is no point in worrying about it. I trust you will find it interesting, even if you don’t agree with my thesis. Feel free to leave a comment with your own take on the subject. I have another feature in the works that explores the history and relevance of the Drake Equation, including a way to plug in your own values for the terms and generate an estimate for the number of alien civilizations in the Milky Way, so stay tuned. The death of billionaire technologist, philanthropist and private-spaceflight entrepreneur Paul Allen has hit hard for people from many different walks of life. Allen passed away yesterday (Oct. 15) at the age of 65 from complications of non-Hodgkin lymphoma. Though he was best known for co-founding Microsoft, Allen was also an important figure in both the spaceflight and search for extraterrestrial intelligence (SETI) communities. 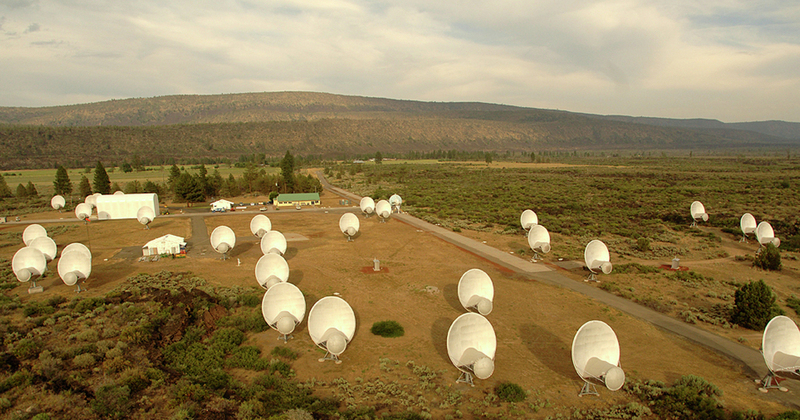 Most notably, Allen helped bankroll the SETI-focused Allen Telescope Array, a 42-dish network in Northern California, to the tune of $30 million dollars. He was also a major investor in Scaled Composites SpaceShipOne project whose legacy lives on in Virgin Galactic’s SpaceShipTwo program, and more recently he founded Stratolaunch Systems featuring a competing air-to-orbit launch system aiming to be operational by 2020. Understandably, one thing that’s been mostly missing from the coverage so far is any speculation as to the fate of Paul Allen’s estate, estimated to be around $26 billion. I have no doubt that many of the organizations and charities Allen contributed to during his life are holding their breath while awaiting news of his final instructions, especially given that he never married or had children of his own. Will the SETI community be remembered in his will? Beyond the fact that he pledged to leave more than half of his accumulated fortune to charitable causes, we have very little nothing to go on, so only time will tell. Well, it’s been a while–over three years–since I last posted on this blog, and a lot has happened in the intervening time, on the ground and up in space. Most notably, of interest to SETI, the number of confirmed exoplanets has more than double from 1,823 in July 2015 all the way to 3,867 today, and that number soars to 6,300 when you include those that are yet to be confirmed. The Golden Age of exoplanet discovery is truly upon us. Sadly, we have yet to detect any signs of extraterrestrial intelligence, but with every year that passes, we have better tools, better techniques, and fresh new ideas on how and where to look for that one elusive signal. Undoubtedly, we are better equipped today than we have ever been, and we continue to live in hope. I’ve long wanted to come back to this blog and start posting news and commentary on SETI and related topics again, but procrastination and distractions have always intervened. 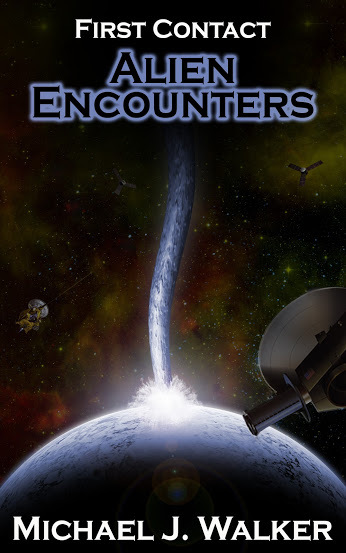 However, having recently posted an updated version of my short story collection First Contact: Alien Encounters on Amazon Kindle, I have an additional incentive to revive the blog from its long term slumber — to help sell some books! So, if you enjoy reading the blog posts and articles on this site, please consider buying a copy to support my efforts. You never know, you might even enjoy some of the stories! 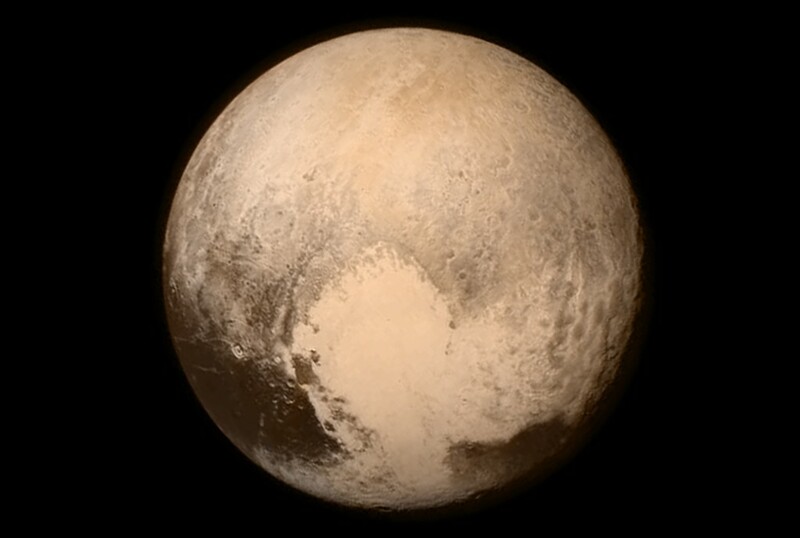 First of all, congratulations to NASA’s New Horizons team for their outstanding work of shepherding their little spacecraft to its successful rendezvous with Pluto and beyond. 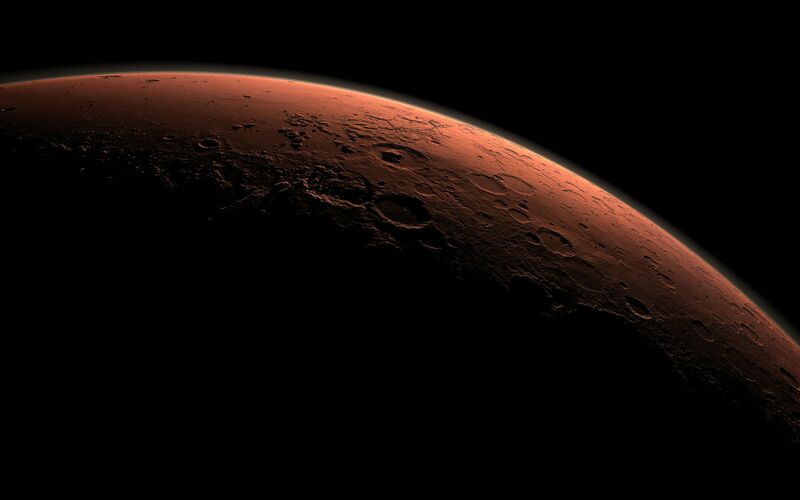 As new images and data are downloaded in the months ahead, we will learn a lot about our distant neighbor, but alien hunters and ufologists are likely to remain disappointed, as signs of alien activity, past or present, remain stubbornly absent. The simplest [message] would be a constant blast in all directions, but in a narrow range of frequencies, similar to early radio broadcasts – like a constant hum that would tell a listener it is artificial. [I]nstead of a constant, narrow-band signal, he argues that ET would beep out short bursts in a wider range of frequencies – a broadband signal. This would take less energy to transmit, and could encode information. “The problem is that… encoding a message; means that any signal would vary quickly. To see such variations – to get the information in the signal – requires having enough sensitivity to see changes in a 10th or 100th of a millionth of a second. That requires antennas with collecting areas maybe 10,000 times larger than necessary to detect a steady signal.” No such antennas currently exist that would pick up the variations more than a few light years away. Messerschmitt does provide one possible solution — to adapt SETI@Home to look for this type of burst broadband signal as well as the existing narrowband search, which sounds eminently sensible and doable, given how the rapid increase in CPU processing power has greatly improved the detection capabilities of the program. 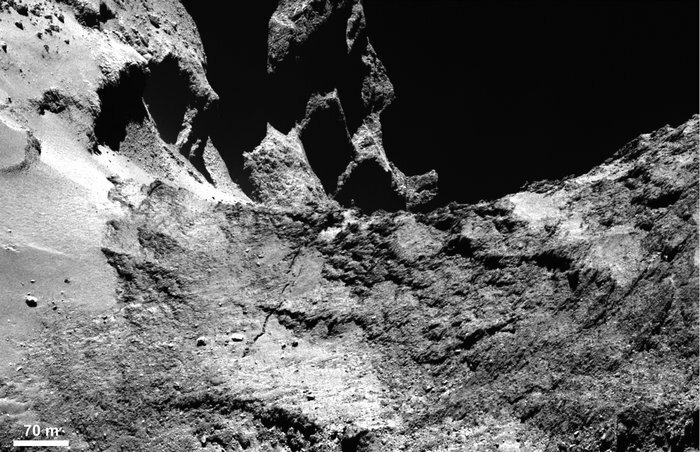 The first results from studies of the data and “cracking” photos sent back from the Rosetta mission are coming in. 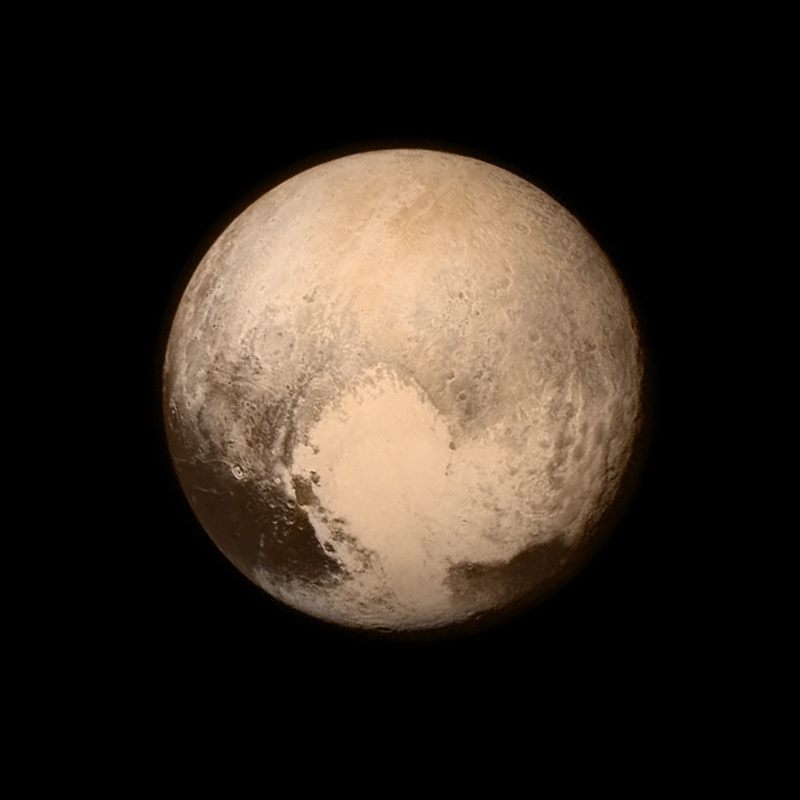 The build up to NASA’s New Horizon’s long anticipated rendezvous with Pluto begins this weekend when the spacecraft takes its first photographs of the dwarf planet. 2004 BL8, a 550m-wide asteroid will flyby Earth (at a very safe distance) on Monday. The next visit from an asteroid this large won’t happen until 2027. Interesting article on how we came to recognize the Sun as the center of our Solar System. Ever want to name a planet? For real? Well, now’s your chance! The International Astronomical Union has decided it is time to start assigning names to some of the hundreds of extra-solar planets that have been discovered so far. 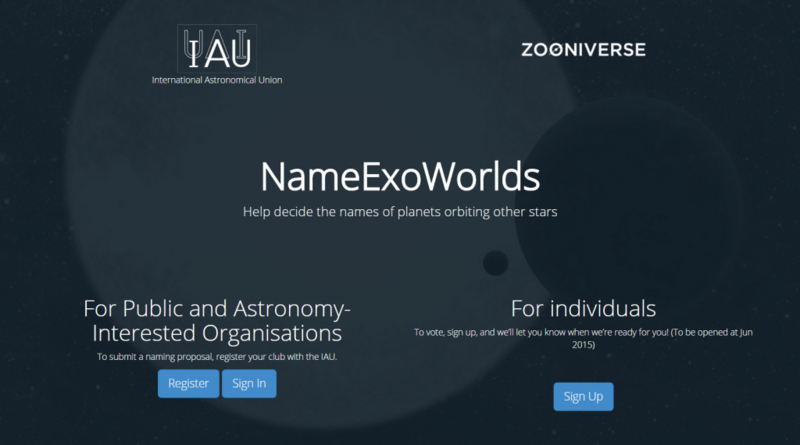 Astronomy clubs and public non-profits can sign up right now at IAU’s NameExoWorlds web site and add their vote for the first batch of confirmed exoplanets they want to see named from the list provided. Next month, once the votes have been tallied, these same clubs and non-profits can submit their proposed names for the top 20-30 exoplanets selected, along with proposals for the names for their host stars. Finally, in June of this year, the site will be opened up to the general public who then get to vote on the names submitted. The results of the vote will be announced at IAU’s General Assembly at the beginning of August. It’s all a big publicity stunt, of course. There’s no compelling scientific reason for naming planets we cannot even see with the largest telescopes in the world at this stage, but the naming event will certainly make headlines around the world, and that’s a good thing. It will boost the public’s interest in the subject of exoplanets, and will help to maintain that interest going forward, since it’s a lot easier to remain emotionally invested in something called, say, “Avalonia” than “HD 13189b.” No doubt science fiction writers will be inspired, and it won’t be long before the new designations start appearing in sci-fi books and movies, too. NASA releases the largest photo ever of the Andromeda Galaxy, weighing in at over 1.5 billion pixels. A rare and valuable 250-year-old ‘atlas of the stars’ by celebrated British astronomer John Bevis has been found in a dusty store cupboard at Manchester University. If you still believe Pluto should be considered a planet, the New York Times is asking for suggestions for a new mnemonic that includes all of the major and minor planets so far discovered. NASA has just released its 2015 edition of Spinoff Magazine documenting examples of spinoffs from the space program that are benefiting people here on Earth. The ESA has just released a new video stressing the importance of going back to the Moon and establishing a permanent presence there. As NASA spacecraft Dawn closes in on Ceres, it begins sending back new images of the dwarf planet. Sky and Telescope maps out the future of the hunt for exoplanets in the afterglow of the Kepler Mission’s success. Corporate giants Google and Fidelity Investments give Elon Musk’s SpaceX company a huge vote of confidence by investing a cool $1 billion in the venture. Looking to spend a little more time in bed while getting paid handsomely for doing so? Look no further than NASA’s 70-day study to test the effectiveness of exercise on loss of muscle, bone and cardiovascular function. The European Space Agency will be hosting a workshop to explore innovative solutions for clearing up the ever-increasing space junk and debris in low Earth orbit.